Grooming is often a topic of discussion for not only women, but guys as well. Your grooming routine, and how often you find yourself in front of the mirror have a lot to do with personal preference. As a guy, grooming practices probably have not always been on the top of your to do list. However, it’s 2017 and the idea “manliness” is ever evolving. This does not mean it’s necessary to be getting facials and manicures (although if that’s your thing, do you). With that being said, taking proper care of your skin, hair, and beards should become a regular part of your routine if it isn’t already. Our bodies are constantly exposed to the elements. Skin and hair damage is a regular occurrence that we as guys can’t avoid, and don’t want to try to. Luckily we live in a time that affords us the proper tools and knowledge to take care of ourselves. We as guys are also lucky to have recourses offered by companies like Beardbrand to help educate and mentor on the topic of male grooming. The concept of taking care of our skin and hair is something that hasn’t been around for very long. If you are uncertain about products, tools, or practices, never hesitate to do a little research. Chances are, there are other guys out there with the same questions. Now to the topic at hand, your hair and beard. Having the right tools will make a break the look your going for. One tool that we as men have always shied away from is the blow dryer. Blow dryers are one of, if not the best tool to train your hair and beard to do exactly what you want it to do. Unfortunately, hair dryers have historically been a symbol of femininity. Not only that, but they have also been thought to damage you hair. Beardbrand did some research, and we’ve found actually uncovered some pretty interesting data. 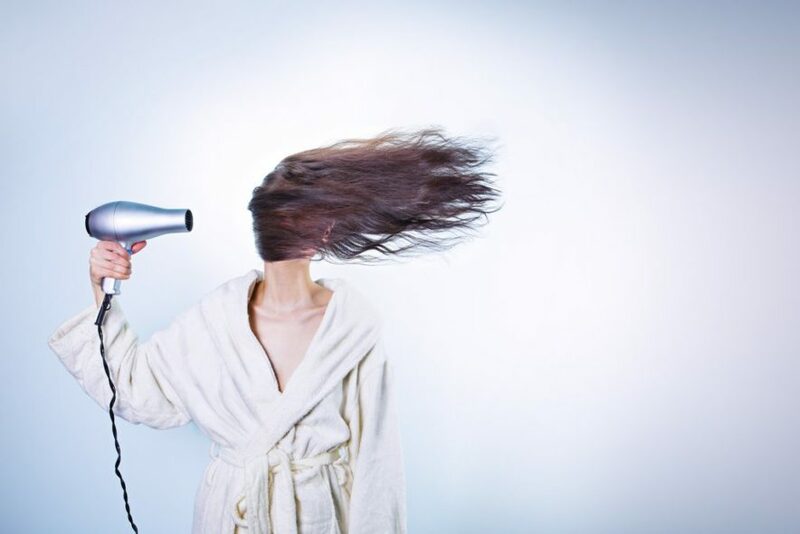 At lower temperatures and further distance between the blow dryer and your scalp, it can actually be more beneficial for your hair and beard to be blown dry rather that air dried. Quicker evaporation of the water trapped in your hair and beard actually takes the tension off of your follicles. Having wet hair actually weighs down the hair strands, and adds pressure to the follicles! So don’t be afraid to pick up that hair dryer and get the style your going for. Don’t forget your styling balm and sea salt spray to really add to the finished product.